> Outline Dimension: L5000*W15*T2.5mm ( Per Roll). > Product Life: >50K Hrs. 1. Inner Box: L250*W250*H5mm, 1pcs per ESD Bag. 2. Carton Dimension: L450*W400*H400mm, 20pcs per carton. 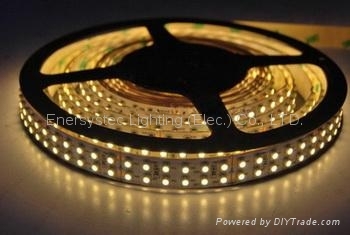 The flexible strip light with a length of 5 meters a reel and it stands out with the remarkably light output, widely used in anywhere in our life for the signal remark, lighting decoration etc. It is a good light solution for signalling, letters illumination and home decorative purpose, Ideal replacement of incandescent, florescent and neon lighting. We have designed it to be easily used by end users which has no professional technology at all. Customer can cut-off the strip light along the cuttable marks on light PCB for the required light length. 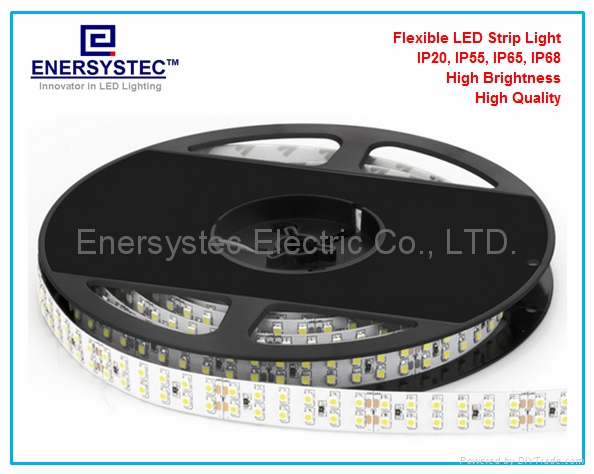 The IP20, IP55, IP65 strip light will comes with 3M adhesive tape, user can stick the light on the surface for installation. 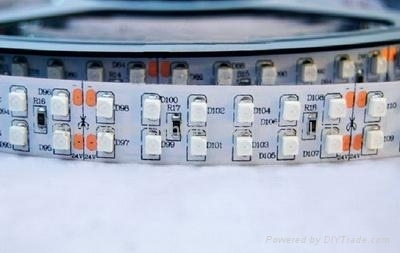 The IP68 strip light will has no 3M adhesive tape and will be fixed by nail & clip, because the IP68 strip light is heavy which can not be fixed by self-adhesive tape.